Lebanon’s Shiite Hezbollah movement on Tuesday afternoon claimed a bomb attack against Israeli troops along the border that wounded two soldiers earlier in the day. Hezbollah operatives “detonated an explosive device on the Shebaa hills against a motorized Israeli patrol causing a number of injuries among the occupation’s soldiers,” the group said in a statement. The statement said that the bomb was planted in honor of Hussein Ali Haidar, a Hezbollah member who was killed in a September 5 explosion that Lebanese officials claimed was caused when Israel destroyed one of its own surveillance devices that had been uncovered inside Lebanon. 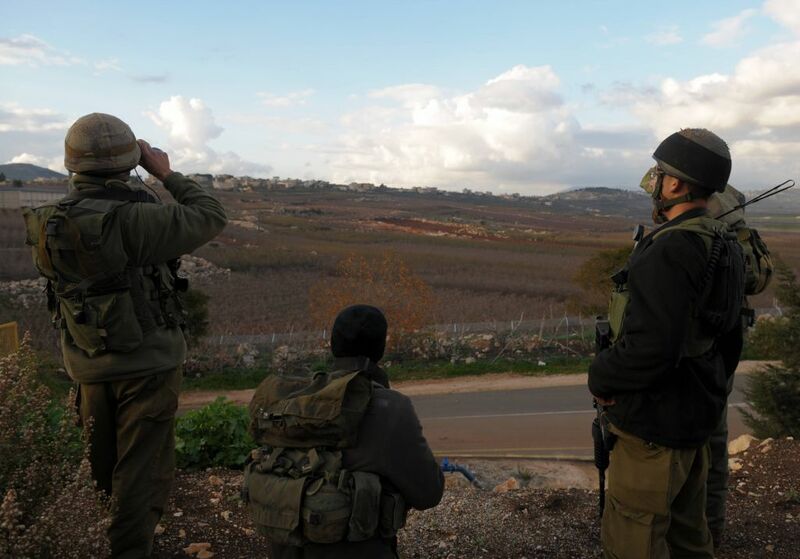 The explosion Tuesday, in the contested Shebaa Farms area, also known as Har Dov, set off the second border clash in the area in three days. “Initial reports indicate that the explosive device was planted with the intent to attack soldiers,” the statement read. Israel responded by shelling an area next to Kfar Chouba, near the Shebaa Farms region. In all, the Israeli army reportedly fired dozens of shells into Lebanese territory. One soldier was moderately wounded and the second lightly injured, the Ynet news outlet reported. Other Hebrew media reported that the two were lightly wounded. Hours later, a second bomb went off along the border in the area, but did not cause any casualties. The Israeli military confirmed the retaliatory shelling in Lebanon. Prime Minister Benjamin Netanyahu said Tuesday afternoon that Israel would not hesitate to hit back at anyone who attacked it. #IDF respond​ed at the unprovoked aggression​ ​agaist its forces & will continue to operate to maintain safety​ of​ ​the nothern #Israel. The clash came two days after a Lebanese soldier was lightly wounded by Israeli forces in the same area. According to a spokesperson for UNIFIL, the United Nations agency tasked with monitoring the border area, the soldier, identified by the Lebanese Daily Star as Zakaria Hamza al-Masri, was rushed to the hospital Sunday following the incident near the Shebaa Farms. The IDF said Sunday that its troops opened fire on “suspects” attempting to cross the border from Lebanon, apparently hitting one and forcing them to retreat. 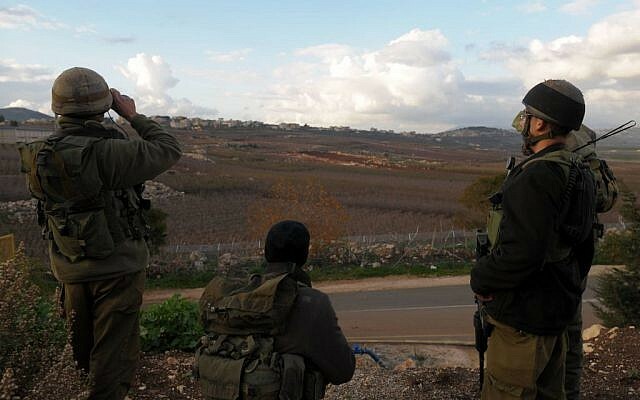 The wounded soldier was patrolling in the southern Lebanese town of Kfar Chouba, about 2 kilometers from the border with Israel, according to the Lebanese Naharnet news outlet. Avi Issacharoff and AFP contributed to this report.